Lotus Birthday Sparkler Candle Just $1.99! Ships FREE! You are here: Home / Great Deals / Amazon Deals / Lotus Birthday Sparkler Candle Just $1.99! Ships FREE! Lotus Birthday Sparkler Candle Just $1.99! Ships FREE!! This is the coolest thing! Order the Lotus Birthday Sparkler Candle for Just $1.99! Ships FREE! This starts out as a closed lotus blossom. 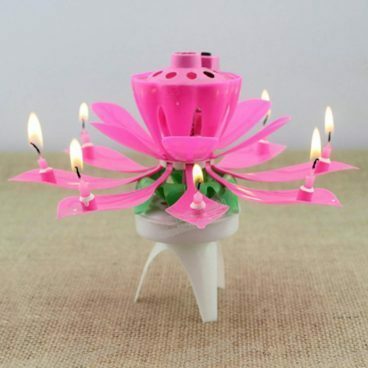 When you light it, the flower pops open with a flame on each petal and sparklers shoot out of the top! What a great cake topper!